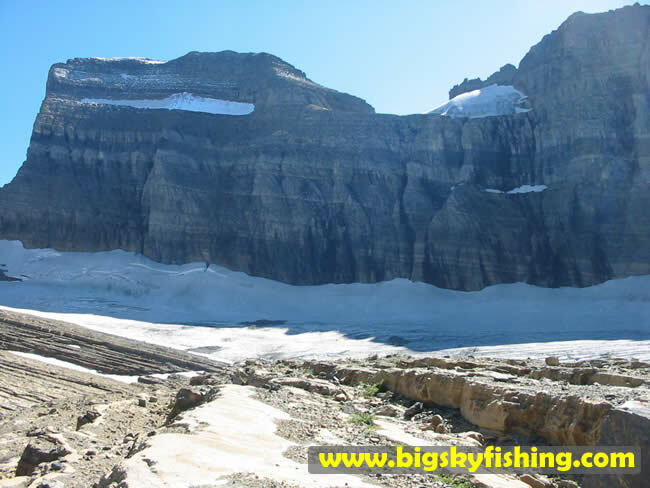 This picture looks up towards the "head", or the beginning, of the Grinnell Glacier. Gem Glacier, the small, "box like" glacier seen on the upper right of the mountain, is also visible. The rocks in this picture once upon a time used to be fully covered by the Grinnell Glacier. However, the rapid melting (or "retreat") of the glacier has exposed the rocks.